Tired of poncho looks yet? I’m not. I LOVE them. Ponchos are more forgiving than vests (ahem, not sleeveless), and less restrictive than capes (can’t move your arms). They make excellent layering pieces over your favorite basics like jeans and leather leggings, but also look amazing belted over a dress for a more elegant ensemble. I wore this outfit the day I went on a bit of a museum tour through London a couple weeks back! I knew I wanted to be comfortable since I would be standing all day, but also wanted to look chic and put together. 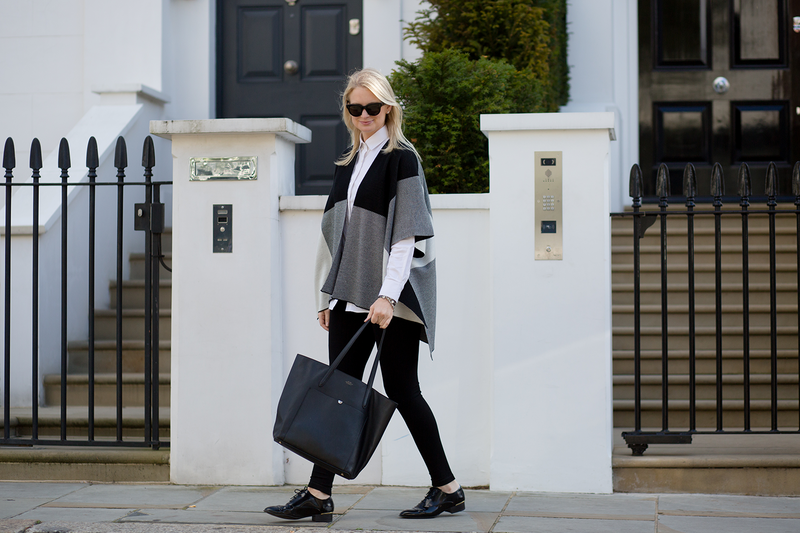 Pairing this Karen Millen poncho (similar US option here) with my softest Vince leggings and a clean white shirt was the way to go. Adding a pair of sleek oxfords helped tie the whole look together in a smart, polished way. I’ll be taking this poncho with me on my travels next week – it’s not big, it lays flat and it doesn’t wrinkle. Can’t beat a travel basic like that! I’m actually heading to the Sir John Soane museum this afternoon, and will likely wear some variation of this look again today! 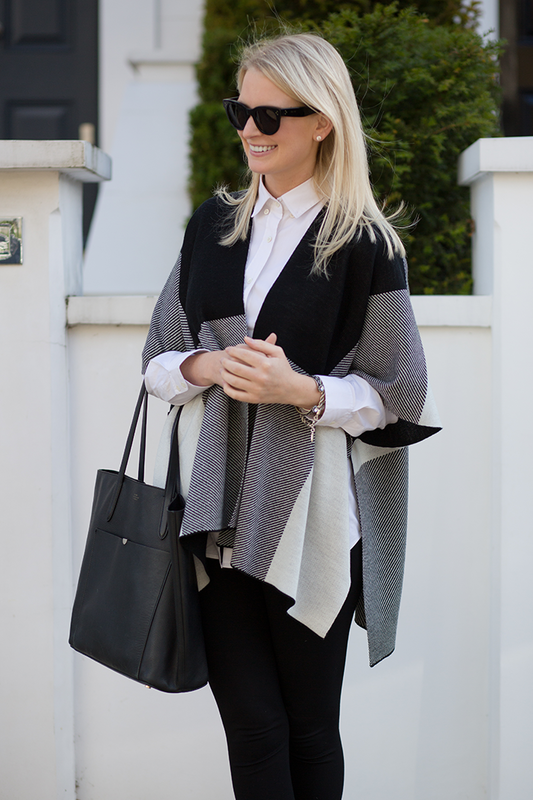 So glad to see I’m not the only one wearing a ton of ponchos and capes this fall – love the colorblocking of this one! 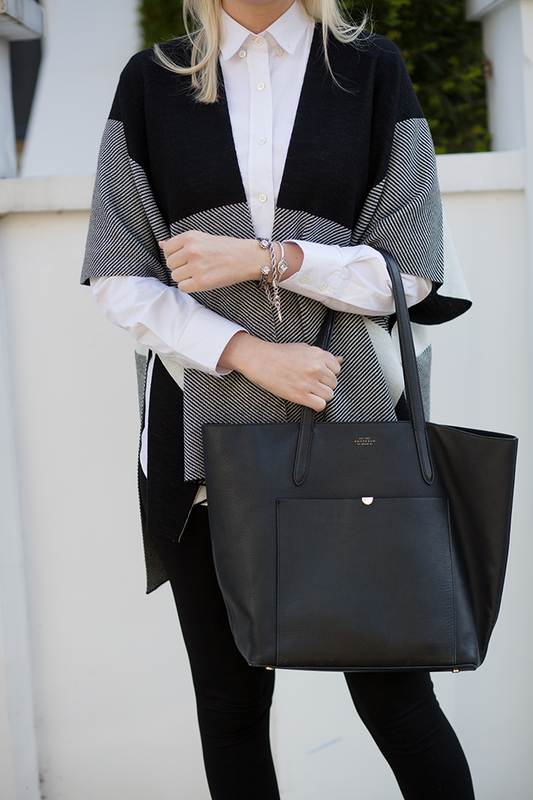 Love your poncho + bag! I need cooler weather in florida ASAP so i can start to take advantage of this awesome look — love your poncho with the bold print. I don’t own a poncho but I LOVE how you styled yours! Those oxfords are so good! I need to jump on the poncho band wagon! Easy and chic. 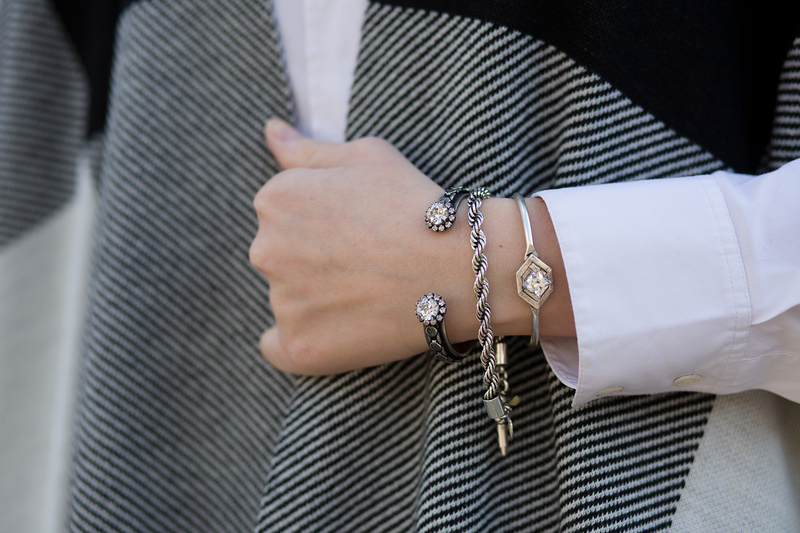 You can’t wrong with this timeless combo. Obsessed with that Smythson bag!! I never get tired of ponchos, they’re as useful and versatile as scarves! Love this look! Very chic – perfect museum wear! Looking forward to hearing how the Sir John Soane visit goes, I’ve never heard of that one. Poncho = fall essential. Love this look!